You already know how much I love GlamGlow Super Mud Clearing Treatment. Currently I'm on my second jar and, to be honest, I've been using it sparingly because I'm not looking forward to shelling out another $50.00-$60.00 at the department store when my jar runs empty. Then I got to thinking, could I recreate a similar version of this amazing mud at home? Seconds later I was checking out GlamGlow's ingredient list. I smiled to myself as I realized just how much of it was already in my possession. 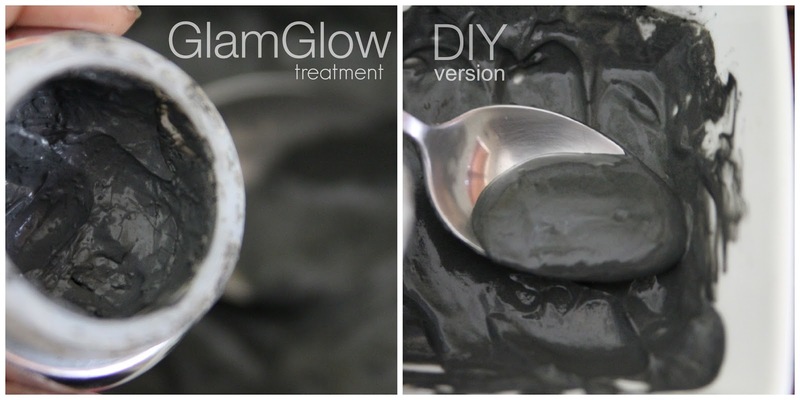 GlamGlow is basically made of a clay that extracts dirt & oil blended with activated charcoal for even more cleansing power. Then they added a series of acids including glycolic acid and mandelic acid. I just happened to have some mandelic acid on hand. I've made clay masks at home before but never thought about including an acid to exfoliate the top layers as the clay works deep within. Thanks to the inspiration from GlamGlow, adding an acid to clay masks will be my thing from now on. I added a drop or two of Eucalyptus oil to bring a little tingle to the experience. Although I included aloe vera juice as per the original formula, I decided to use coconut vinegar as the main liquid to blend everything together and bring the pH level down. Every time I prepare a clay mask, I include manuka honey for the anti bacterial properties. It also keeps my skin from feeling too dried out. I knew that adding the honey would make my version of the mask a bit different from GlamGlow's but I was ok with it because the benefits are worth it. The final result was very close in color and slightly a bit less thick than the original. When I rinsed my face, several minutes after application, my skin felt smooth, looked bright, and felt soft to the touch. I'm not sure if it had anything to do with the HydraFacial I had earlier this week, but my face felt much softer than when I use GlamGlow. Because of the cost, I only used GlamGlow once in a while. Now I can make a small batch whenever the need arises and treat myself to a clearing mask at will. I love how seriously you take your care of your skin, and believes me it shows. I bought quite a few products based on your recommendations. I followed the link with the coconut vinegar. Do you still use it on your skin Everyday and what results have you seen so far? 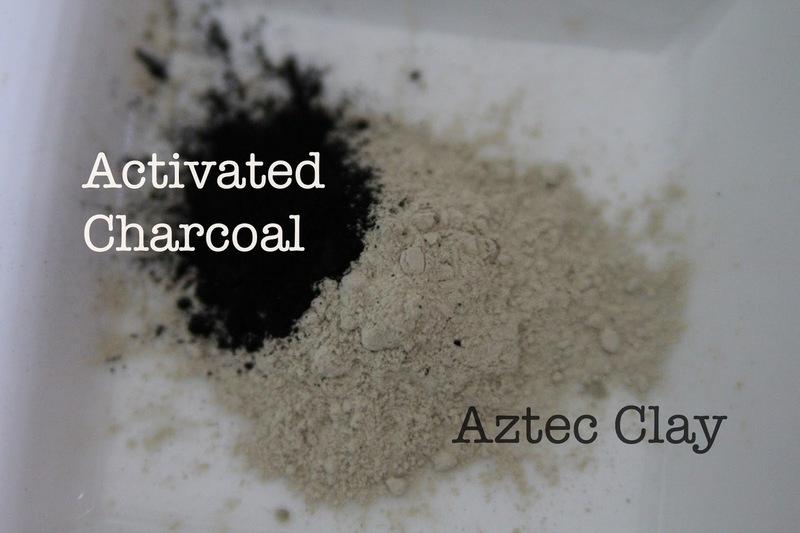 Do you have an approximate recipe to make this clay mask? Love your site...BTW! After the post, I kept using ACV because of habit. Because you mentioned it, I reread the post and tried CCV again. Once again, I like the results. Since I'm running out of ACV soon, I'll transition to CCV. But based on today's experience, I really like it as a toner. I remember having to use a lot more aztec clay than charcoal to replicate the color of GlamGlow (even more than you see in the original pic). But my goal was to make it look like GlamGlow. You don't have to be as particular. With regards to the liquid (whether you use vinegar or aloe vera), you basically add a little at a time and stir to your desired consistency. If you use peppermint or eucalyptus ONLY ADD ONE DROP. If you chose to add an acid for exfoliation, add only a small amount. That's pretty much it.